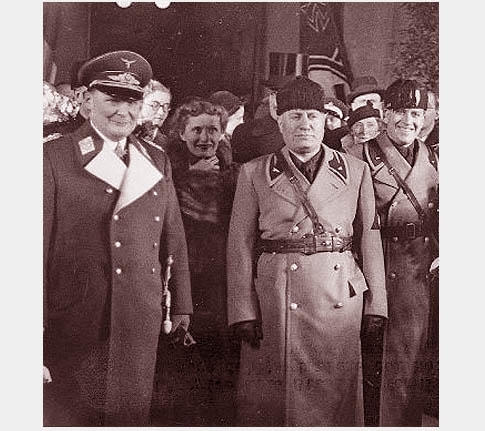 "Goering and Mussolini were supposed to have talked Italo-German friendship and cooperation in European affairs. Their conversations were said to have dealt with, among other things, ways of reconciling German and Italian sympathy for the Spanish Fascists with the international non-intervention agreement in the Spanish Civil War. Great significance was attached to their talks. What they actually agreed upon will probably never be known in full, but the effects of their decisions will in all likelihood soon be visible." It soon became evident to anyone who paid attention to the goings on in Spain at the time, that Mussolini and Goering had met in order to re-dedicate their themselves to a Fascist Spain. Throughout much of 1937 Franco's two European allies contributed more men and matériel to the fight and demanded an expanded roll in the conflict.